Eight-year-old Sophie Donohue wanted to be like every other little girl, which is why her mother, Janine, reluctantly agreed to let her go on a camping trip with her Brownie troop. But when Janine arrives to pick up Sophie after the trip, her daughter is not among the others. Somehow, along the forested route from West Virginia, Sophie has disappeared. Sophie suffers from a rare disease, and without treatment, it’s only a matter of days before the illness will claim her life. 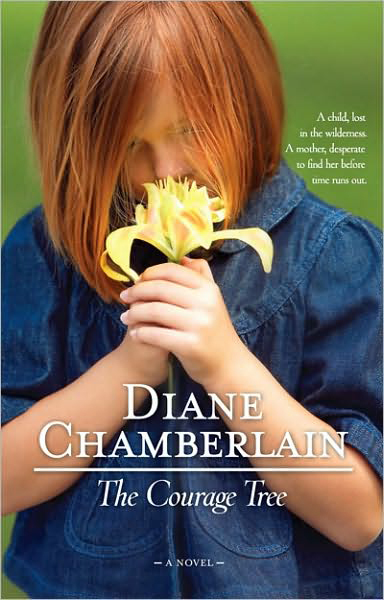 Janine searches for the child, along with her ex-husband Joe, and a gardener, Lucas. As their frustration grows, so does the envy and suspicion between the two men, casting doubts on each other’s true motives for trying to find the little girl. Deep in the forest, another drama unfolds. Sophie has found refuge in a remote cabin, where a woman is preparing a hideaway for her own daughter, who has escaped from prison after being wrongly imprisoned for murder. Sophie’s arrival puts in jeopardy her daughter’s future, but the mysterious woman is as determined to save her daughter as Janine is to save Sophie. Only one of them can succeed. The guest cottage seemed stuffy, its four small rooms overflowing with sunlight. At two-thirty, Janine turned off the air conditioning and opened all the windows, starting in her bedroom and Sophie's room, then the kitchen and finally the living room. Although it became instantly warmer in the cottage, the air was arid, a remarkable phenomenon for June in Northern Virginia, and the faint breeze carried the scent of magnolia and lavender into the rooms. Janine sat sideways on the sofa in the living room, her back against the overstuffed arm, bare feet up on the cushions, gazing out the window at Ayr Creek's gardens. In fifteen minutes, she could leave, she told herself. That would make her early, but there was no way she could wait here any longer. The view of the gardens was spectacular from this window. Bands of red and violet, yellow and pink, dipped and swirled over more than two acres of rolling landscape before losing themselves in the deep woods between the cottage and the mansion. The nineteenth century, yellow frame, black-shuttered mansion could barely be seen at this time of year due to the lush growth on the trees, allowing Janine to imagine that she was master of her own life and not living on her parents' property. Not that Ayr Creek truly belonged to her parents, who were little more than caretakers. The house belonged to the Ayr Creek Foundation, operated by the descendants of the estate's original owner, Angus Campbell. The Foundation had deeded enough money to the county to keep the garden and a few rooms in the mansion open to the public on weekends. And through some quiet arrangement, Janine's mother, Donna Campbell Snyder, had been given the right to live in the mansion until her death, although she did not otherwise have a cent of her family's fortune. This, Janine had always thought, was the source of her mother's bitterness. Nevertheless, Donna and Frank Snyder adored the Ayr Creek estate. Retired history teachers, they relished the task of overseeing the upkeep of the house and gardens. And they willingly allowed Janine and Sophie to live rent-free in the "guest cottage," a euphemism designed to masquerade the true history of the diminutive structure: it had once been home to Ayr Creek's slaves. There was a tear in the window screen. Just a small one, and if Janine closed one eye and leaned nearer to the screen, she could see one perfect, blue-blossomed hydrangea captured in the opening. If she leaned a little farther to the left, she could see the roses Lucas had planted near the wishing well. She should get up and repair the hole instead of playing games with it, she thought briefly, but shifted positions on the sofa and returned her attention to the gardens instead. This restlessness, this stuffy, claustrophobic feeling, had been with her all weekend and she knew it was of her own creation. She had not drawn a full breath of air since Friday evening, when she'd watched her daughter ride away in the van with the rest of her Brownie troop. Sophie had grinned and giggled with her friends, looking for all the world like a perfectly healthy eight-year-old girl, except, perhaps, for the pallor and the delicate, willowy, white arms and legs. Janine had waved after the van until she could no longer make out Sophie's red hair against the tinted window. Then she offered a quick smile to the two other mothers in the parking lot of Meadowlark Gardens and got into her car quickly, hoping that the worry hadn't shown in her face. There hadn't been a day in the last five years that she had not worried. She'd planned to use this weekend alone to clean the cottage from top to bottom, but she'd gotten little done. She'd spent time on Saturday with her mother in the mansion, helping her research historically accurate wallpaper patterns on the Internet for one of the mansion's bedrooms, and listening to her complain yet again about Lucas, the horticulturist in charge of the gardens. Janine knew, though, that she and her mother were both preoccupied with thoughts of Sophie. Was she all right? Eight years old seemed far too young to be spending the weekend at a girl scout camp nearly two hours away, even to Janine, and she knew that her mother was furious with her for allowing Sophie to go. Sitting in the office, which was part of the mansion's twentieth century addition, Janine tried to concentrate on the computer monitor while her mother leaned over her shoulder. "It's hot out and she'll drink too much water," her mother said. "She'll forget to take her pills. She'll eat the wrong things. You know how kids are." "She'll be fine, Mom," Janine had said through gritted teeth, although she couldn't help but share her mother's concerns. If Sophie came back from this trip sicker than when she went, the criticism from her parents would never end. Joe would be furious as well. He had called last night, wanting to know if he could come over to see Sophie after she got home tonight, and Janine knew he was feeling what she did: the deep love and concern for the child they both treasured. Like Janine's mother, Joe had expressed strong disapproval over Sophie going on this trip. One of many things Joe was angry with her about. Joe's anger was hard for Janine to ignore, because she knew it came from a place of caring, not only about Sophie, but about herself as well. Even in the ugliest moments of their separation and divorce, she'd been aware that Joe still loved her. At two-forty-five, Janine left the cottage and got into her car. She drove down the long gravel driveway, banked on both sides by boxwood as old as the estate itself, and looked toward the mansion as she passed it. Her parents would be inside, waiting anxiously for her to bring their granddaughter home. She hoped she'd have some time alone with Sophie before she had to share her with them and Joe. Meadowlark Gardens was less than half a mile from the Ayr Creek estate, and the parking lot of the public gardens was as full as she had ever seen it. As Janine turned into the lot from Beulah Road, people dressed in wedding regalia spilled out of one of the brick buildings, probably getting ready to pose for pictures. In the distance, Janine could see another wedding taking place in the gazebo by the pond. A beautiful day for a wedding, she thought, as she drove toward the southeastern corner of the lot, where she was to meet the returning Brownie troop, but her mind quickly slipped back to her daughter. Suddenly, all she could think about was scooping Sophie into her arms. She pressed her foot harder on the gas pedal, cruising far too fast through the lot, and parked her car near the corner. Although Janine was early, one other mother was already there, leaning against a station wagon, reading a paperback. Janine knew the woman vaguely; her name was Suzanne. She was pretty, a bit older than most mothers of children Sophie's age, and it was hard to tell if her chin-length hair was a pale blond or actually gray. Janine smiled as she walked toward her. "They certainly had great weather, didn't they?" Suzanne asked, shading her eyes from the sun. "They did." Janine joined her in leaning against the car. "I'm glad it wasn't too humid." Suzanne tossed her paperback through the open window of her car. "Oh, that wouldn't have bothered them," she said with a wave of her hand. "Kids don't care whether it's humid or not." Sophie would have cared, Janine thought, but she kept the words to herself. She tried unsuccessfully to remember what Suzanne's daughter looked like. In truth, she'd paid little attention to the other girls in Sophie's troop. It was so rare that Sophie could take part in any of their activities that Janine had had no opportunity to get to know any of them or their mothers. She looked at Suzanne. "Has your daughter. . . " she began. "I'm sorry, I don't remember her name." "Has Emily been on one of these camp-outs before?" Janine asked. "Yes, she has," Suzanne said. "But none this far away. And I know this is a real first for Sophie, isn't it?" "Yes." She felt somehow touched that Suzanne knew Sophie's name. Probably, the other mothers talked about her. "It's wonderful she could go," Suzanne said. "I guess she's feeling better, huh?" "Much better," Janine admitted. So much better that it was scary. "I heard she's receiving some sort of experimental treatment." "Yes." Janine nodded, then hesitated a moment before adding, "She's in a study of an alternative medicine. She's only been in the study a couple of months, but she's had some dramatic improvement. I'm just praying it will last." It was hard for Janine to give words to Sophie's improvement, to actually hear herself say those words out loud. She lived in terror that it might not last. Since being in the study, Sophie had not only remained out of the hospital, but had finally learned to ride a bike, eaten almost anything she wanted, and even attended the last of week of school. For most of the year, she'd been tutored at home or in the hospital instead, and last year had been equally as bad. Most indicative of Sophie's improvement, though, was the fact that she no longer needed to spend every night attached to her dialysis machine. For the last couple of weeks, she'd required treatments only two nights a week. That had given her the freedom to do something she'd never before been able to do: spend the night away from home with her friends. Sophie's astonishing improvement seemed miraculous, although Dr. Schaefer, the researcher behind the study, had warned Janine that her daughter still had a long road ahead of her. She would need to receive twice-weekly intravenous infusions of Herbalina, the name he had given his herbal remedy to make it more appealing to the pediatric population of the study, for at least another year. Despite Sophie's gains, her own nephrologist, the doctor she'd been seeing for the past three years, scoffed at the study, as did every other specialist with whom Janine had spoken. They'd pleaded with Janine to enroll Sophie in a different, more conventional study of yet another experimental drug, but Sophie had already participated in several of those studies, and Janine could no longer bear to see her daughter suffer the side effects of the toxic drugs they gave her. With Herbalina, Sophie had only gotten better. No rashes. No cramps. No bloating. No sleepiness. The positive results were merely a temporary reduction in symptoms, Sophie's regular doctor and his colleagues had argued. Beneath the surface, the disease still raged. They claimed that Schaefer offered false hope to the hopeless, but stopped just short of calling the small, wiry, soft-spoken doctor a charlatan. Janine could easily see the situation from their perspective. After all, the medical profession had been grappling with Sophie's form of kidney disease for decades, searching for a way to turn the tide of its destruction. Then along comes some alternative medicine doctor, with his combination of tree bark and herbs, and he thinks he can do what no one else has been able to do: cure the incurable. Sophie's regular doctor said that Schaefer's treatment was nothing more than a band-aid, and it terrified Janine that he might be right. She was just getting her daughter back. She could not bear to lose her again. "Where are the other parents?" Janine looked behind her toward the parking lot entrance. It was nearly three. "Oh, I think it's just you and me. I'm going to drive a couple of the girls home. Gloria and Alison will take the rest, but we figured you'd probably be anxious to be with Sophie, so we didn't think to ask if you wanted one of us to give her a ride." "You're right," she said. "I can't wait to see how she made out." "She looked so excited when she got into the van Friday evening," Suzanne said. "She was." Janine was glad she was wearing sunglasses, because her eyes suddenly burned with tears. Her baby girl. How rare it was to see such unfettered joy in Sophie's face rather than the usual lines of pain and fear. The sort of fear no child should have to endure. "She's so cute," Suzanne said. "Where'd she get that red hair?" "It's a combination of mine and her dad's, I guess," she said, touching her hand to her own strawberry-blond hair. Joe's hair was dark, his eyes blue, like Sophie's. "It's her kidneys that are the problem, right?" Suzanne probed. "Yes." Janine didn't mind the questions. The only time she was bothered by them was when they were asked in front of her daughter, as though Sophie were deaf and blind as well as very, very ill.
"She already has one of mine." Janine smiled ruefully. "Her body rejected it." Joe had offered one of his, as well, but he was not a good match. And now, Sophie was beyond being helped by a transplant. "Oh, I'm so sorry," Suzanne said kindly. "She seems to handle everything very well, though. I was so surprised when I met her, because she's so tiny. I thought she was about six. But then this eight-year-old voice comes out of her, with a ten-year-old vocabulary. It's such a surprise." Janine smiled. "Kids with kidney disease tend to be small," she said. "What a lot you must have been through with her," Suzanne said. "And to think of how much I worry when Emily has the sniffles. I really admire you." Janine didn't feel admirable. She was coping the only way a desperate mother could; searching for solutions, doing all she could to make Sophie's time on earth as happy and carefree as possible . . . and crying only when she was alone at night. "Emily told me that you're a helicopter pilot," Suzanne said. "Oh." Janine was surprised. "I was, a long time ago. Before Sophie got sick." She had learned to fly a helicopter in the Army, and had flown for an aircraft leasing company after getting out of the reserves. Was Sophie telling people that she still flew? Maybe it embarrassed her that Janine had turned from an adventurous pilot into a stay-at-home mom. But with a chronically ill child, she could imagine no other course of action. "Emily has a secret hope that, when the girls in the troop get a little older, you might give them flying lessons." She had thought of that herself, in those rare, optimistic moments when she could picture Sophie reaching her teenaged years. "Maybe one day," she said. "That would be fun." She turned to look at the parking lot entrance again. "You must worry about Sophie when she's away," Suzanne said suddenly, and Janine knew that the worry was showing in her face. Or maybe the way she was knotting and unknotting her hands in front of her was giving her away. "Well," she said. "This is new to me. Sophie's never been away from home without me or her father by her side." She'd also never been so far from emergency care, which was why Joe had said the trip was out of the question. But Sophie had begged to go. There was so little she ever asked for, and so little Janine could do for her. She said yes, after getting permission from Dr. Schaefer, who even called Joe to assure him that Sophie would be fine, as long as she watched her fluid intake and was home for dialysis on Sunday night and back at Schaefer's office for Herbalina on Monday. Joe, who lost his temper too easily and too often, had hung up on him. Like Sophie's regular doctors, Joe thought Schaefer's study was a sham, and he had argued with Janine about making Sophie into a guinea pig. Although Janine and Joe had been divorced since Sophie was five, they usually were in agreement on how to handle their daughter's treatment. This study had driven a wedge between them and was unraveling the already frayed edges of Janine's relationship with her parents as well. They hadn't wanted Sophie to take part in such an unconventional treatment either. It wasn't like Janine to stand up to any disapproval from Joe or her parents, at least not in recent years. But Sophie was terminally ill. Even dialysis was failing her, and she'd been given mere months to live. There was little to lose. "I don't think you need to worry," Suzanne said. "Gloria seems like a very caring and responsible leader." "I wonder about Alison, though," Janine said. Alison was the younger of the two troop leaders. Only twenty-five and single, Alison had no children of her own. She'd been a volunteer leader in Sophie's troop for the past two years, and all the girls loved her. She was fun-loving, comical, and had a spirit of adventure that the girls adored and the parents feared. Alison had made a few errors in judgment over the past couple of years. Very minor. Nothing life-threatening. But then, she hadn't had a child as frail and needy as Sophie under her care before. "Oh, I think Alison's super," Suzanne said. "How many young women do you know who are childless themselves but still volunteer to work with kids? And the girls love her. She's a good role model for them." Janine felt mildly chastened and wished she had thought before she'd spoken. She was about to apologize, when she spotted a white van pulling into the parking lot. "Is that them?" she asked. "Looks like it," Suzanne said. The van was heading toward them, and Janine waved. Stepping away from Suzanne's station wagon, she wished she could make out the faces behind the van's tinted windows. Patience, she told herself. If she charged the van, or God forbid, started crying when she saw Sophie, she would embarrass her to pieces. The van came to a stop next to the station wagon, and Gloria stepped out of the driver's side, giving them a quick wave as she walked around the front of the car to slide open the side door. Five grimy, tired little Brownies began tumbling out. Suzanne stepped forward to give her daughter, Emily, a hug, and Janine looked past them, watching for a sixth girl to emerge. She walked toward the van, trying to see through the dark windows, but there appeared to be no movement inside. "Janine," Gloria said. "How come you're still here?" "I'm waiting for Sophie," Janine said, confused. "Isn't she with you?" "Didn't Alison get here yet?" Gloria asked. Janine frowned. Alison? Gloria had let Sophie ride with Alison? "No." She tried to keep her voice calm. "I've been here since ten of. I haven't seen her." "That's strange," Gloria said, reaching into the van to pull out one of the girls' knapsacks. "Sophie and Holly wanted to ride with Alison," she said, "and they had a good ten minute head start on us." Suzanne must have caught Janine's look of panic. "Maybe Alison drove Sophie straight home?" she suggested. "She knew she was supposed to come here first," Gloria said, reaching for another knapsack. "But maybe Sophie or Holly persuaded her to take them straight home," Suzanne said. Gloria shook her head. "She knew Janine would be waiting here for Sophie." Janine turned her head between the women as if following a ping pong game. "I'll call home," she said, heading for her car. "I'll see if they showed up there." Her hands shook as she opened her car door and reached inside for her cell phone. She dialed the number for the mansion, and her mother answered. "I'm at Meadowlark Gardens, Mom, waiting for Sophie to get back, and I just wanted to check to see if her troop leader might have dropped her off there." "I haven't seen her," her mother said. "Could she be in the cottage?" "Possibly." Although if Sophie had been dropped off at the cottage and found that Janine wasn't there, she probably would have walked up the driveway to the mansion. "Could you check, please?" Janine heard some movement of the phone. "Frank?" her mother called, her voice obviously directed away from the receiver. Janine pictured her father sitting in the leather recliner in the Ayr Creek library, his favorite perch, either reading or working on his laptop. "Go over to the cottage and see if Sophie's inside," her mother said. "She might have been dropped off there." "Thanks, Mom," Janine said, once her mother was back on the phone. "Why would they bring her home if they were supposed to meet you at Meadowlark Gardens?" Janine tensed. Here we go, she thought. "There might have been a misunderstanding," she said. "Well, if they could get something as simple as that wrong, what else could they get wrong?" "She's only eight years old, and a very fragile little girl," her mother said. "I wouldn't have sent you off to camp when you were eight, and you were healthy as a horse." It was true that her parents had never sent her to camp. She'd had to create her own adventures, and create them she did. "I think this was a terrific experience for Sophie," Janine said, although she'd argued about this with her mother and father and Joe so much over the past few weeks that she knew anything she said now was pointless. Janine heard her father's voice in the background, but she couldn't make out what he was saying. "She's not there," her mother said into the phone. "All right. Please call me on my cell phone if she shows up there instead of here, okay?" "Not really late at all, Mom. I was just checking in case they took her home. I've got to go now." She hung up and walked back to the van, where Gloria and Suzanne were talking. Emily leaned tiredly against her mother, and Janine felt a pang of envy witnessing the simple, uncomplicated warmth between them. She wanted Sophie here with her, now. Gloria and Suzanne were looking toward the entrance to the parking lot. Janine followed their gaze, but there were few cars pulling into the lot this late in the day. "What color is Alison's car?" she asked. "Blue Honda," Gloria said. "Sophie's not at home?" "They probably took a bathroom break," Suzanne said. "We had to take three of them," Emily groaned. "Tiffany had to pee twice." Janine turned to look toward the far corner of the parking lot, searching for a blue Honda. Maybe Alison had her southeast and northeast confused, but this was the same spot from which the troop had taken off. Besides, she surely would have noticed the van by now. "I'm sure they'll be here any minute." Gloria touched her arm. "They probably got stuck in a traffic jam." "You would have gotten stuck in it too, then," Janine said. "Does Alison have a cell phone with her?" Her voice sounded remarkably calm despite the fact that she was furious with Gloria for allowing Sophie to ride with the young troop leader. "Yes, she does." Gloria sounded relieved at that realization. "I have her number in the van. Hold on." She walked quickly toward her van, stopping only a second to talk to her daughter. "Sophie's just fine." Suzanne touched Janine's arm. Janine tried to nod, but her neck felt as if it were made of wood. "She had a really good time, Mrs. Donohue," Emily said, somehow picking up her mother's cue that Janine was in desperate need of reassurance. "What sorts of things did you do?" Janine tried to smile at Emily, one eye on the van where Gloria was making the call. "We rode horses," Emily said. "That was my favorite part." "Really?" Janine asked. "Did Sophie ride a horse?" "Yup." Emily told her some of the other things they'd done, but Janine was stuck on the image of her daughter astride a horse for the first time in her life. Gloria moved the phone from her ear and started walking toward them. "Did you reach her?" Janine asked. "No answer," Gloria said. "She probably has it turned off." "Be patient," Gloria said to them. "As soon as Alison gets here, we can divide up and start for home." Gloria and Suzanne chatted calmly as they waited, but Janine could not follow, much less participate, in their conversation. Minutes passed, and her hand perspired around the phone locked in her fist, while the world in the parking lot took on a dream-like quality. Janine was only vaguely aware of the movement of the cars and the people and the tired Brownies, who now sprawled on the stretch of grass between the parking lot and Beulah Road. She glanced repeatedly at her watch as the minute hand made its steady fall toward three-thirty, and her mind raced with explanations for Alison's tardiness. Maybe Sophie had gotten ill and they'd needed to stop. Or maybe they were simply caught in a traffic jam that Gloria had somehow circumvented. Or maybe Alison decided to take them on some new, unplanned adventure. Janine wanted to ask Gloria what she had been thinking, putting Sophie in Alison's car for the ride home. Did Alison have with her the three pages of instructions Janine had written outlining Sophie's special needs? Did these women understand how sick Sophie was? She suddenly wondered if Joe had been right in not wanting Sophie go on this camping trip. Maybe it had been a foolish decision after all. Thanks to Dr. Schaefer's treatment, Sophie looked quite well right now. It would have been easy for the troop leaders to have forgotten how seriously ill she was. Gloria tried several more times to reach Alison's cell phone, without success, and at four o'clock, Janine could take it no longer. "What's Alison's home phone number?" she asked Gloria. Her voice sounded curt, but she felt herself soften as she saw the look of concern in Gloria's face. Gloria knew the number by heart, and Janine dialed it on her own phone. Janine gripped the phone. "Alison?" she asked. "No, this is Charlotte. Alison's not here." "Are you her . . . housemate?" "I'm waiting for her at Meadowlark Gardens," Janine said. "She's supposed to be bringing my daughter and another girl back from West Virginia. Have you heard from her?" "No," Charlotte said. "I was wondering where she was, actually. She should have been home an hour ago. We're supposed to go to Polyester's tonight." Janine had no idea what Polyester's was, nor did she care. "Look, if you hear from her, tell her to call this number immediately." Janine gave the woman her number. "You could call her, if you want," Charlotte said. "I can give you the number for her cell." "We've tried calling her. She must be out of range." "I doubt that. She has the same phone plan I do. We're never out of range." "Well, I guess she has it turned off, then." Charlotte laughed. "She never turns her phone off," she said. "She's terrified of missing a call." Janine said good bye, then hung up her phone. She looked toward the entrance of the parking lot, where a short line of cars was waiting to exit, and none were waiting to come in. For whatever reason, Alison had turned her phone off now.